April 3, 1986: Death of Wendell R. LaDue. Wendell R. LaDue was a water supply visionary who made many improvements to the water supply for Akron, Ohio. He was born in Mt. Pleasant, Ohio on October 1, 1894. He earned his BS in Civil Engineering from the University of Southern California in 1918. Shortly afterwards, he joined the staff of the Akron Waterworks. “While serving as its manager, LaDue developed a watershed plan to insure adequate clean water supply. The plan included purchasing property along the Cuyahoga River and building a series of reservoirs. In 1932, the City of Akron began purchasing property along the Cuyahoga River in Geauga County and removing homes and farms to protect the watershed. LaDue oversaw the construction of the 695 acres Rockwell Lake, the 395 acres East Branch in 1938, and the 1,477 acres Akron City Reservoir, now called LaDue Reservoir, in 1961. The capacity of the three reservoirs is 10.5 billion gallons. In 1947, LaDue founded the Akron-Canton Section of the American Society of Civil Engineers. In honor of his contributions, the Wendell R. LaDue Civil Engineer Award is awarded each year by the ASCE to a member who has promoted professionalism and the advancement of the civil engineering profession. 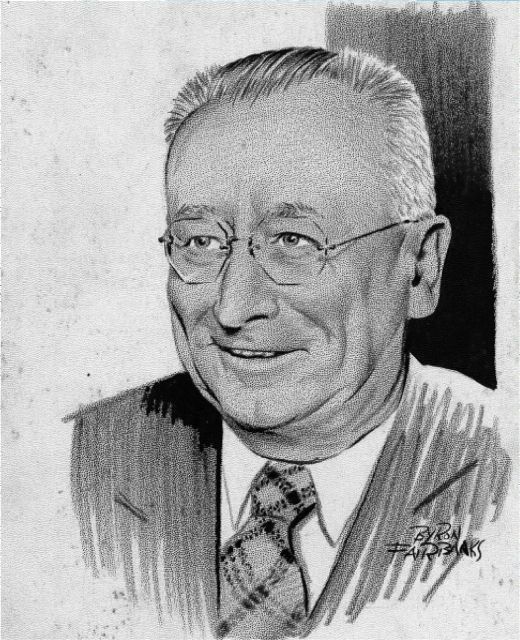 In 1946 and 1947, LaDue was the president of the American Water Works Association. Since 2003, several Wendell R. LaDue Utility Safety Awards are presented by the AWWA to recognize distinguished water utility safety programs. This entry was posted in Year 7 TDIWH and tagged Akron, ASCE, AWWA, drinking water, Ohio, public health, water, water history, water supply, Wendell R. LaDue on April 3, 2019 by safedrinkingwaterdotcom. December 13, 1899: Julius W. Adams dies. Julius Walker Adams was a noted civil engineer who planned the sewer system for Brooklyn, New York. He was also one of the first engineers who conceived the idea of building the Brooklyn Bridge. For several years he was Consulting Engineer of the Board of City Works, Brooklyn, and also consulted on the distribution of water in New York City. He found time to edit Engineering Newsand was President of the American Society of Civil Engineers from 1874-5. Adams was the last surviving member of the twelve founders of ASCE. He was a member of the New York Academy of Science and of the Association for the Advancement of Science. This entry was posted in Year 7 TDIWH and tagged ASCE, Julius W. Adams, sewers, water on December 13, 2018 by safedrinkingwaterdotcom. October 18, 1812: Julius W. Adams was born.Julius Walker Adams was a noted civil engineer who planned the sewer system for Brooklyn, New York. He was also one of the first engineers who conceived the idea of building the Brooklyn Bridge. 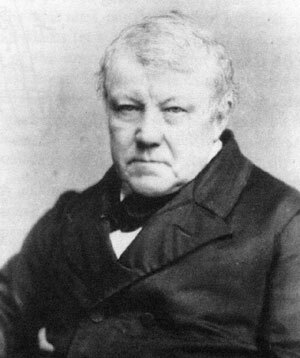 For several years he was Consulting Engineer of the Board of City Works, Brooklyn, and also consulted on the distribution of water in New York City. He found time to edit the Engineering Newsand was President of the American Society of Civil Engineers from 1874-5. Adams was the last surviving member of the twelve founders of ASCE. He was a member of the New York Academy of Science and of the Association for the Advancement of Science. This entry was posted in Year 7 TDIWH and tagged ASCE, Brooklyn Bridge, Clean Water Act, drinking water, ozone, sewer, water on October 18, 2018 by safedrinkingwaterdotcom. October 11, 1961: Dedication of Wendell R. LaDue Reservoir. 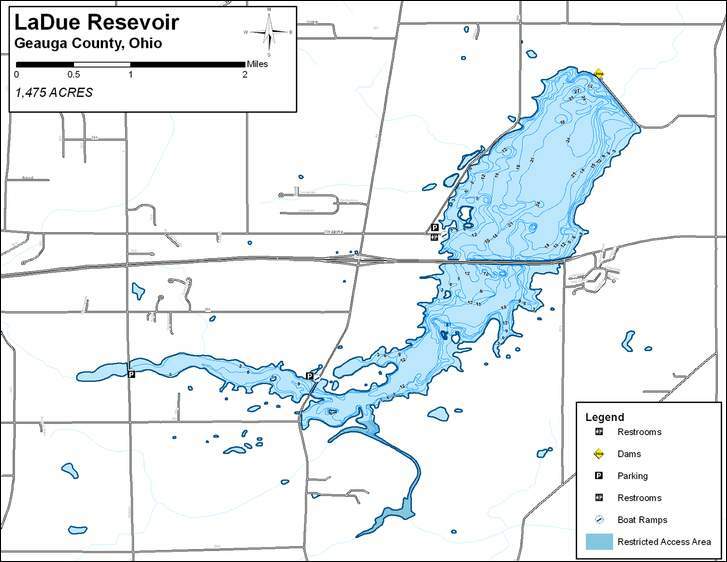 LaDue Reservoir is a water supply, flood control and recreation reservoir located in Geauga County, Ohio, in the northeastern part of the state. The reservoir was originally called the “Akron City Reservoir” before it was renamed for Wendell R. LaDue. Wendell R. LaDue was a water supply visionary who made many improvements to the water supply for Akron, Ohio. He was born in Mt. Pleasant, Ohio on October 1, 1894. He earned his BS in Civil Engineering from the University of Southern California in 1918. Shortly afterwards, he joined the staff of the Akron Waterworks. “While serving as its manager, LaDue developed a watershed plan to insure adequate clean water supply. The plan included purchasing property along the Cuyahoga River and building a series of reservoirs. In 1932, the City of Akron began purchasing property along the Cuyahoga River in Geauga County and removing homes and farms to protect the watershed. LaDue oversaw the construction of the 695 acres Rockwell Lake, the 395 acres East Branch in 1938, and the 1,477 acres Akron City Reservoir, now called LaDue Reservoir, in 1961. The capacity of the three reservoirs is 10.5 billion gallons. 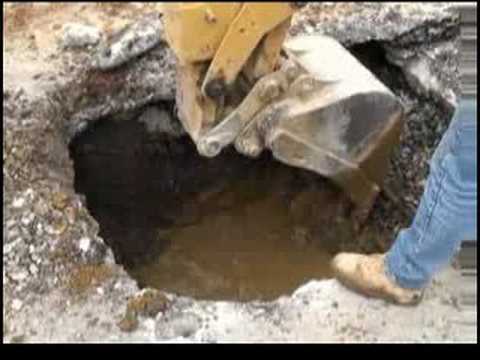 October 11, 1989: New York Times headline–Water-Main Break Spews Asbestos Into 8th Ave. “A water main burst at the intersection of Eighth Avenue and West 43d Street yesterday, sending asbestos-laden mud gurgling up the avenue and cascading down onto the IND subway tracks below, officials said. The police closed West 43d Street and blocked off several lanes of Eighth Avenue while the City Department of Environmental Protection tested the mud to determine the level of asbestos, which was scattered from underground steam pipes. 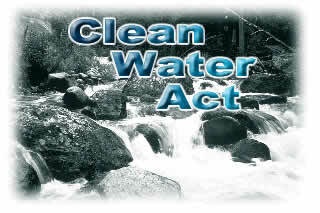 October 11, 1988: New York Times headline–Science Watch; Less Lead in Rivers. “A decline in lead contamination in major American rivers has been found at two-thirds of 300 sites studied from 1974 to 1985, scientists at the United States Geological Survey have reported. The report chiefly attributed the decline to a 75 percent drop in use of leaded gasoline in that period. 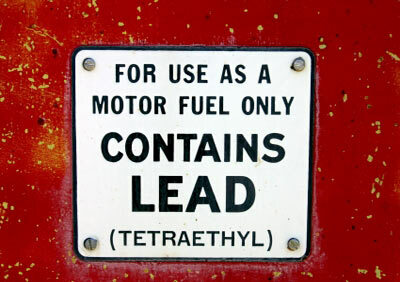 The most rapid drop in lead content was recorded from 1979 to 1980, when use of leaded gasoline took its sharpest drop. This entry was posted in Year 7 TDIWH and tagged Akron, asbestos, ASCE, AWWA, drinking water, lead, leaded gasoline, main break, New York City, Ohio, public health, rivers, water, water history, water supply, Wendell R. LaDue on October 11, 2018 by safedrinkingwaterdotcom. This entry was posted in Year 6 TDIWH and tagged Akron, ASCE, AWWA, drinking water, Ohio, public health, water, water history, water supply, Wendell R. LaDue on April 3, 2018 by safedrinkingwaterdotcom. December 13, 1899: Julius W. Adams dies. Julius Walker Adams was a noted civil engineer who planned the sewer system for Brooklyn, New York. He was also one of the first engineers who conceived the idea of building the Brooklyn Bridge. For several years he was Consulting Engineer of the Board of City Works, Brooklyn, and also consulted on the distribution of water in New York City. He found time to edit Engineering News and was President of the American Society of Civil Engineers from 1874-5. Adams was the last surviving member of the twelve founders of ASCE. He was a member of the New York Academy of Science and of the Association for the Advancement of Science. This entry was posted in Year 6 TDIWH and tagged ASCE, Julius W. Adams, sewers, water on December 13, 2017 by safedrinkingwaterdotcom. October 18, 1812: Julius W. Adams was born. Julius Walker Adams was a noted civil engineer who planned the sewer system for Brooklyn, New York. He was also one of the first engineers who conceived the idea of building the Brooklyn Bridge. For several years he was Consulting Engineer of the Board of City Works, Brooklyn, and also consulted on the distribution of water in New York City. 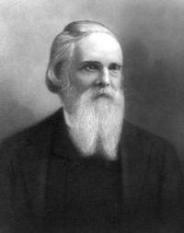 He found time to edit the Engineering News and was President of the American Society of Civil Engineers from 1874-5. Adams was the last surviving member of the twelve founders of ASCE. He was a member of the New York Academy of Science and of the Association for the Advancement of Science. This entry was posted in Year 6 TDIWH and tagged ASCE, Brooklyn Bridge, Clean Water Act, drinking water, ozone, sewer, water on October 18, 2017 by safedrinkingwaterdotcom.